This policy applies to student class assignments only. For these projects, it is best pracice to check with the IRB for a determination regarding whether IRB review is necessary. See the HRPP Operations Manual, Part 5, section V.
In support of its teaching mission, the University of Michigan encourages novel and innovative classroom activities. Some faculty design class assignments that involve questionnaires, interviews, or other interactions with individuals, such as those commonly used in research methods courses. In these cases, faculty should consider if such assignments should be reviewed by Institutional Review Boards (IRBs) to ensure the protection of human subjects. Student class assignments, as a general rule, are not systematic data collection efforts intended to develop or contribute to generalizable knowledge and, thus, do not meet the federal regulatory definition of research (45 CFR 46.102 (l)). Therefore, as a rule, student class assignments do not fall under the jurisdiction of the IRB and do not require IRB application, approval, or oversight. Most student class assignments pose little or no risk to students or others. However, instructors should take special care to to ensure that students realize the potential for harm and take all possible steps to eliminate the risks to students or individuals outside the class involved in the assignment. These risks may include: physical harm, or potential psychological, social, economic, or legal harm, especially when data is collected about sexual activity, use of alcohol or illegal drugs, or involvement in illegal activities. Such risks can be exacerbated when the individuals outside the classroom are minors, pregnant women, prisoners, or people who are otherwise vulnerable, such as cognitively impaired persons. Student class assignments that are intended to collect information systematically with the intent to develop or contribute to generalizable knowledge (e.g., publish or disseminate data) meet the federal regulatory definition of "research." These class assignments fall under the jurisdiction of the IRB and require IRB application, approval and oversight. Instructors wishing to use such assignments must apply to the appropriate IRB for review and approval of these assignments before they begin. Class assignments may become subject to this policy (and be considered regulated research) if the faculty member or the students change their plans to use the data during the data collection or after the data have been collected. If the faculty member or students wish to use data collected from class assignments for research and publication, application to the IRB for permission to use the data is required. 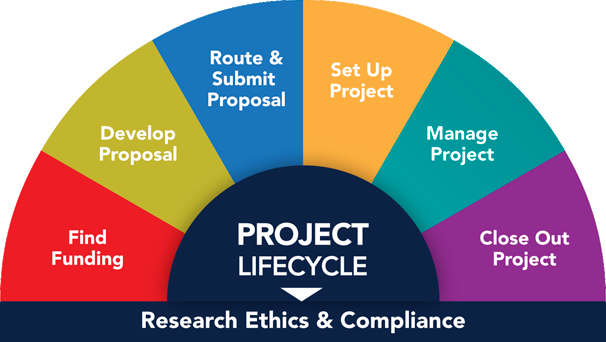 ​​Independent research projects (e.g., theses, honor projects, independent studies) conducted by students that collect data through interactions with living people or access to private information fall under the jurisdiction of the IRB.​ Application to the IRB for these student research projects must include an endorsement and acceptance of overall responsibility by a faculty member. Exempt (see the HRPP Operations Manual, Part 4, section VI). A declaration of exemption means that, so long as there are no major changes in the research, its conduct does not need to be overseen on a continuing basis by the IRB. It does not mean, however, that students should act any less professionally or be any less respectful of individuals with whom they interact or about whom they collect private information. Such a determination means that the IRB chair or other designated person may approve a project on behalf of the entire committee. If such an application is well formulated and contains all the information required by the IRB, this process may speed approval. Expediting reviewers may not disapprove a project. Even when a class assignment is "non-research" and, thus, not under the jurisdiction of the IRB, faculty members have an affirmative obligation to ensure that students understand their ethical obligations in carrying out their assignments. Instructors should provide guidance to students collecting information so as to minimize any unwitting or unintentional harms to other students or to individuals, especially if students will interact with or collect private information about vulnerable individuals. To ask a question, express concerns, or provide suggestions about human research protections at U-M, please send a message to hrppumich@umich.edu.